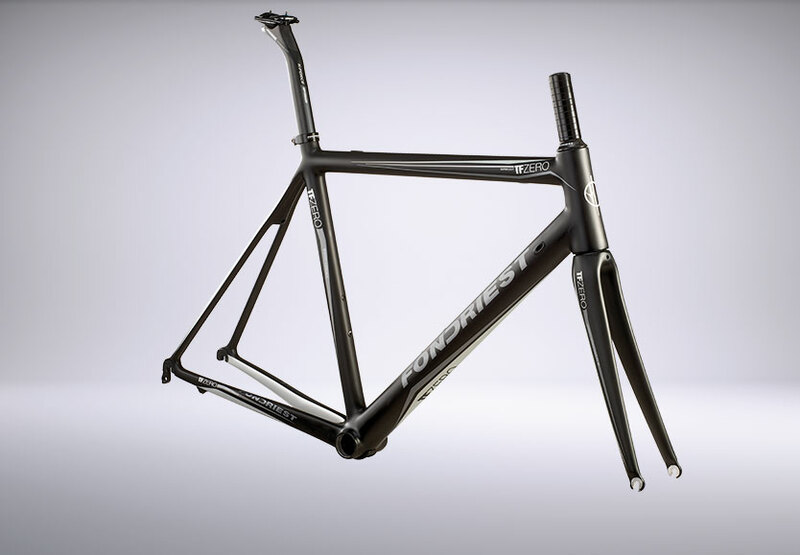 The Fondriest TFZERO is our flagship frames, the properties of this frame are extraordinary stiffness equal to 140 N/mm and an incredibly low weight of only 798 grams. The carbon tubes are manufactured and packed in Italy. 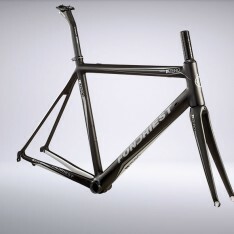 It’s possibile to create made to measure frames using this procedure. Steering differentiated from 1-1/8″ above to 1-1/2″ below and providing high torsional stiffness. 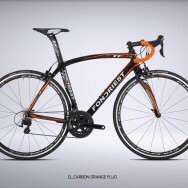 Monolithic carbon fibre dropouts and fork. The particular feature of these TFZERO rear doropouts are the two interchangeable parts, both on the right and on the left made from trated aluminium alloy, which when securely fixed to the dropouts simultaneously support the wheel and the gear unit. In practice the quick release wheel never touches the part of the monolithic carbon fibre dropout. Total absence of screws that fix the attachment. 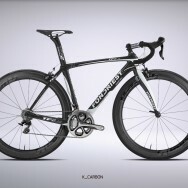 The integrated cables provide the entire freame with greater aerodynamic properties and compactness as well as a much more determined and neat line. Press fit movement with no external cap, provides a stiffer frame.